The U.S. 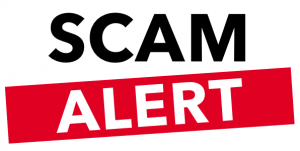 Citizenship and Immigration Services (USCIS) recently issued an alert warning of scam emails that appear to come from USCIS and ask employers for Form I-9 information. The alert advises that employers are not required to submit Forms I-9 to USCIS. Contain the employer’s address and a fraudulent download button that links to the non-government web address uscis-online.org. USCIS is directing employers to not respond to these emails or click the links in them, and to report any suspected scam emails to the Federal Trade Commission. This entry was posted in Laws & Policy, News, Regulations. Bookmark the permalink.